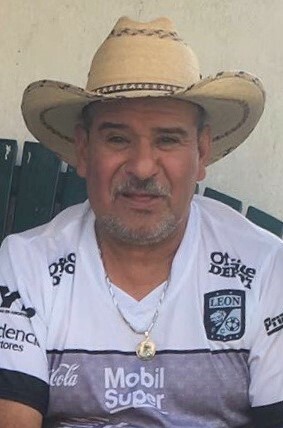 Samuel “Cilantro” Rodriguez, also known to many as Shorty, passed away on Saturday, November 17, 2018 at home surrounded by his children and loved ones. He was survived by his children, Sylvia Rodriguez (Ulalio), Samuel Rodriguez (Angelina), Julia Puente (Che), Pedro Puente, his grandchildren, Olivia Christine, Briana Ya, Samantha Lina, Melanie, Gabriella Bella, Ariana Su, Ethan Alexander, and Sabrina and his God Children, Gregory, Margarita and Michelle. Samuel was a proud Mexican-American. He was the 3 child born to Jesus and Eduviges, in San Francisco Del Rincon, Guanajuato, Mexico on June 3, 1954. He came to the United States of America when he was a teenager to seek a better opportunity for work. He obtained a work permit soon after and was appreciative of the opportunity this country gave him. He built a life here in the United States but would always come home to Mexico to visit his beloved family and friends. On July 7, 2008, he accomplished his goal of becoming a legal citizen of the United States. He was very proud of his accomplishment because he worked very hard for many years to get it. His story was a great example of what this country’s original purpose was founded for, “A better life”. Samuel was a retired roofer of 30+ years and a proud member of The Roofers Union, Local 11. He loved his family and friends very much. And has a reputation of being a very hard worker and a very generous person. One of his famous quotes he told his family was “Don’t worry about it, money goes but money is coming. The most important thing is to have food and warm clothes. Everything else is OK.” He knew that God will take care of the rest. We love you Pa. Well meet you up there one day. Visitation will be held Saturday, November 24, 2018 from 2:00 to 4:00 pm at the Harbor Lighthouse Church, 3600 Grand Blvd., East Chicago, IN. Funeral and Burial will be held in San Jose de Otates, Guanajuato, Mexico (date pending).